In the state of Washington, a court has the right to order one or both parents to provide financial support to their child. More often than not, however, it’s the the parent who spends less time with their child (i.e. the non-custodial parent) who actually pays support. While there are situations in which the custodial parent may be forced to pay child support, Washington judges generally assume that this parent already spends a sufficient amount of support on the child. Can You Do That Math for Me? A judge’s primary obligation is to ensure that your child receives an amount of support that is sufficient to meet her or his needs. 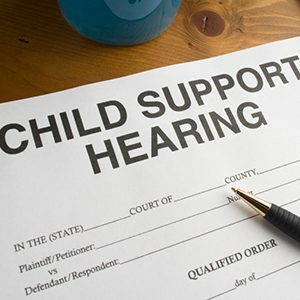 A judge will also want to see that the custodial parent is meeting her or his basic responsibilities as the child’s primary caregiver, and that the non-custodial parent is making her or his payments on time. Attorney Stanley A. Kempner, Jr. has dedicated his career to helping Spokane County families with child support issues. If you’re currently wading through a contentious support dispute, contact Stanley A. Kempner Jr. Attorney at Law now. Stanley A. Kempner Jr. Attorney at Law is committed to helping Spokane families in need of child support assistance. Learn more by dialing (509) 484-1104 today.